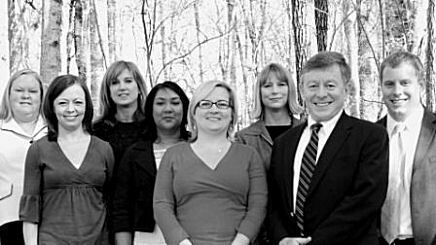 We are an independent insurance agency in Oak Ridge, Tennessee. We provide peace of mind and protection from loss to an ever-growing number of our friends and neighbors in Oak Ridge, as well as Anderson and Roane Counties in Eastern Tennessee. It is our goal to provide you with the best insurance for the best price. We take pride in our outstanding customer service. 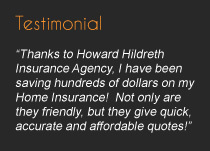 Howard Hildreth Insurance Agency is licensed to conduct business in the states of Tennessee and Georgia. The information on this site is a solicitation to conduct business only in the aforementioned state of authority. Please note: We cannot bind coverage from requests sent through our web site. If you need to add to or change your coverage, please call our office during business hours: Monday - Friday, 8:30am to 5:00pm. Nonprofit Agencies ... and more!